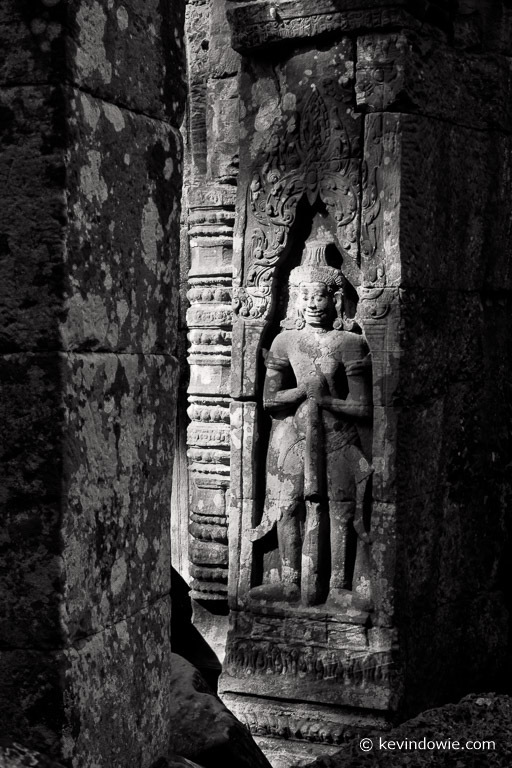 I’m still working through the Siem Reap photos and finding that, tree roots, stone ruins, bas-reliefs and all their shadows, lend themselves beautifully to black and white. I’m not surprised, whilst some images look good in colour, the key elements in many of them relate to shape, form, texture and the direction and quality of light. Tree and seedling, Ta Prohm, Cambodia. In the above image, it may not be obvious but the tree (known as a Spung) and the seedling are growing on top of a sandstone wall. Bas-relief, an apsara or celestial maiden. Ta Prohm. 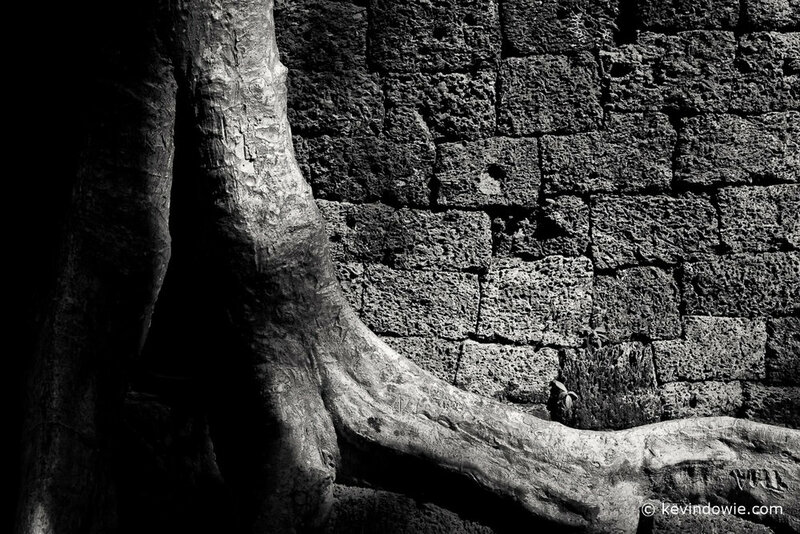 Tree roots, Ta Prohm 2. Another study in light and deep shadows. Ta Prohm. Textures, tree bark and rocks. A fractured apsara. 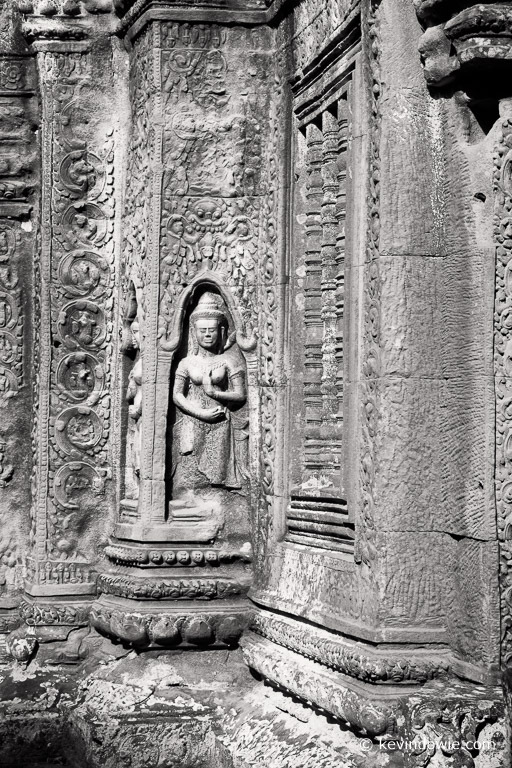 Thousands of apsara carvings have been catalogued among the Ankorian temples in the region. They have dozens of different forms and interpretations. Apsaras are generally seen as dancing maidens. This figure is more correctly a Devata, or temple guardian. Ta Prohm temple.